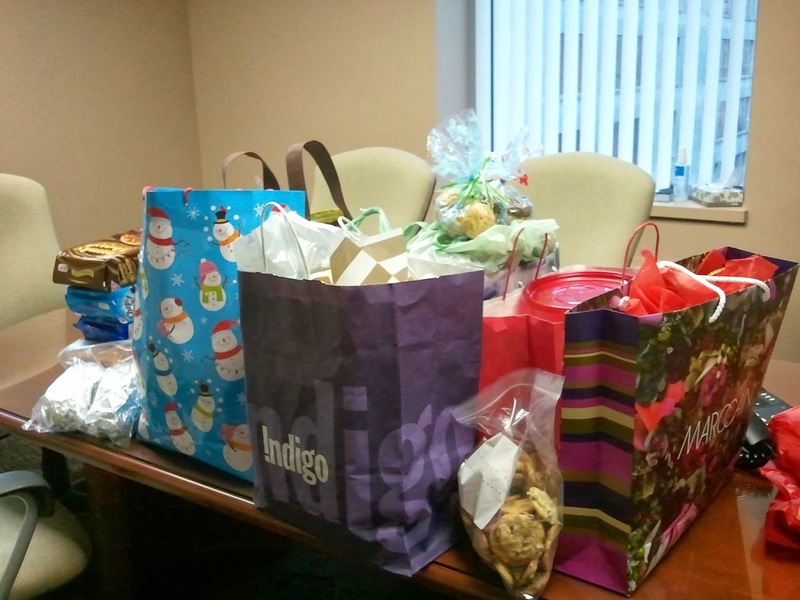 Thank you to everyone who participated in our annual Cookie Drive. Your contribution helped us to surpass our goal of 80 dozen cookies for the Out of the Cold program! “Taking risks, choosing growth, challenging ourselves, and asking for promotions (with smiles on our faces, of course) are all important elements of managing a career. One of my favorite quotes comes from author Alice Walker, who observed, “the most common way people give up their power is by thinking they don’t have any.” – Sheryl Sandberg, Lean In. As recruiters we hear many reasons on a daily basis as to why it’s time for a candidate to move on to a new opportunity. Most are good, some are terrible and some are wrong. It’s hard to look at someone and tell them they are wrong and it’s not time to move on. It’s probably harder to accept that feedback from someone who doesn’t go to your office every day and sit through the meetings you sit through, and miss out on the promotions you’ve missed out on--but it’s true. The wrong reason we hear on a regular basis deals exactly with what Sheryl Sandberg is talking about in the above quote. Candidates come in and say “My boss doesn’t recognize what I am doing”, “I’m being looked over for a promotion” and the worst (and most common) “I don’t feel valued”. Are these real issues? Absolutely. Are they situations that cannot be easily remedied with a little confidence? Absolutely not. Very often Managers aren’t trained in people management. They have moved into these roles through natural and earned work progression. They are talented in what they do but often don’t understand the people management aspect of the role. When we talk to managers who have recently lost top notch employees they are dumbfounded. They truly cannot understand how this person could have left. They were doing a stellar job, “but did you ever tell them” we asked? “Did you let them know their value to your team?”, “did you work on a long term game plan for them to keep them in your organization?”. These questions are typically met with shocked silence. You cannot leave your career in other people’s hands. This is your life, your experience and your progress. You have the power to control your career, no one else. As much as it’s up to your boss to “Lean In” and commend you and work with you it’s also up to you. YOU need to “Lean In” and take control. Promote your successes, keep an open dialogue with your manager on where you’d like to see your career go. Develop a plan with them, brainstorm with them, talk to them. If you’re feeling undervalued give them a chance to work on it, more often than not you’ll be surprised by their reaction. No one wants to lose key members of their team so give them a chance to work with you and help build you up until the time is right to take the next role. You’ll often find this strategy to be an effective one throughout your career and if it’s not, then you’re probably right in making that move. Thorek/Scott and Partners is proud to support Ronald McDonald House Toronto this holiday season. 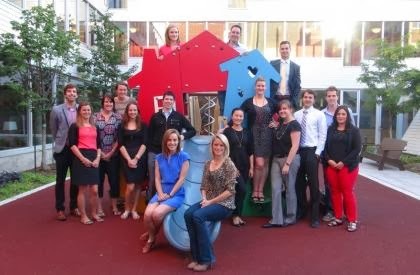 Ronald McDonald House Toronto provides a “home away from home” for seriously ill children and their families. They provide a place for families to heal better together both in the 81 family capacity House in downtown Toronto and through the Family Room Program, which provides families a medical-free space within a hospital to rest and retreat, while steps away from their ill child. Children heal better when surrounded by the comforts of home and family. Ronald McDonald House Toronto keeps families together when they need each other the most!